Last ICWL 2016 conference in Rome made me reconsider the innovative learning ecosystem concept in my studies and instead consider using the smartness of learning ecosystems since innovative is a relative concept while smartness is not, as well as smartness may be nicely interpreted as a niche providing fitness and flow experiences. I liked an interesting keynote by Carlo Giovanella from Tor Vergata University of Rome – Dept. of Educational Science and Technologies. He described a survey done in several universities to capture the smartness of educational learning ecosystems – Smartness of learning ecosystems and its bottom-up emergence in six european campuses (2016): Survey with university students at different campuses: a) the detection of the degree of satisfaction related to the levels of the Maslow’s Pyramid of needs, and b) the detection of indicators related with the achievement of the state of “flow” by the actors involved in the learning processes. Identifing: a) the set of the most relevant indicators; b) a “smartness” axis in the plan of the first two principal components derived by applying a Principal Component Analysis (PCA) to the spaces of the selected indicators. Giovannella C., Smart Territory Analytics: toward a shared vision. In: SIS 2014, CUEC, (2014). NOTE: that actually is the definition of the niche in ecology, but Giovanella in 2016 article combines the Flow state as the required quality of satisfaction for people in this learning niche: state where challenges are exciting and adequate to the skills owned by the individuals, which, in turn, are expected to be improved due to the challenges. 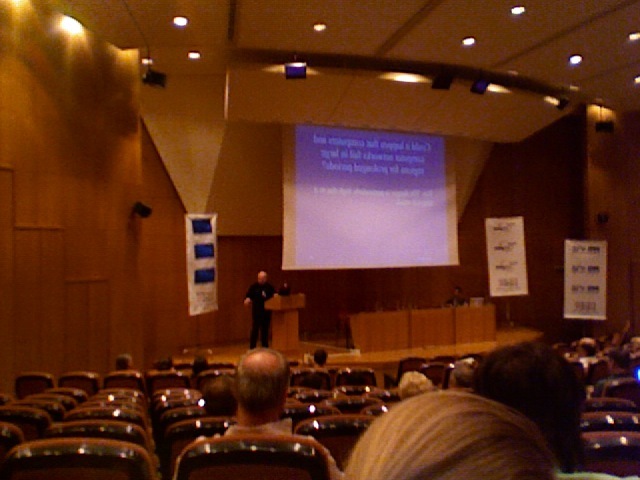 In his previous paper of smart cities Giovanella defines smartness of cities as follows: a city is smart “when investments in human and social capital and traditional (transport) and modern (ICT) communication infrastructure fuel sustainable economic growth and a high quality of life, with a wise management of natural resources, through participatory governance“. This captures the systemic, organizational view to smartness and incorporates implicitly bottom-up self-organization in an ecosystem, and explicitly sustainability of the learning ecosystem as a common good and high quality of individual’s life as the evaluation criteria. Giovanella’s approach technically was very similar what we have done in studying the school learning ecosystem services in Georgian, Ghanan schools (see below). However, we used observation and interviews (the external view to the existing niches). We mapped data on the digital service grid quantitatively as an input. So we yet cannot measure the ecosystem fit to user’s challenges as the quality of smartness but rather we may set learning type variables such as learning and facilitation services related with classical ICT teaching or innovative ICT teaching and see how the other ecosystem services determine those. Jeladze, Eka; Pata, Kai (2016). Digitally Enhanced Schools and Service-based Learning Ecosystem. EDULEARN16 Proceedings: 8th Annual International Conference on Education and New Learning Technologies. Barcelona (Spain), 4-6th July, 2016. IATED, 1569−1578. K-means cluster analysis was run and 2 models of schools were identified using developed instrument. Discriminant analysis was run to identify predictor variables for further analysis of the schools’ belonging to certain model. 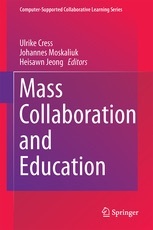 Innovative and non-innovative schools differed by teacher-student partnership, authentic and flexible learning environment, but the biggest difference was in change management domain.Discriminant analysis detected following variables as predictors: school’s ICT vision and agenda, motivation and support system promoting innovative practices, teachers’ professional learning relevance to the curriculum requirements and school strategy. Beyond the previous study we built Bayesian Dependency model for innovative schools’ cluster to find probabilistic dependencies of the services in digitally enhanced schools illustrated the model with qualitative case study descriptions. The findings suggested that trade-off type of services requiring schools initiative to get service and change management services were the biggest determinants of the schools belonging to the innovative technology-enhanced learning ecosystem type. Quaicoe, James Sunney; Kai, Pata; Jeladze, Eka (2016). Digital Learning Ecosystem Services and Educational Change in Ghana’s Basic Schools. EDULEARN 16 : 8th Annual International Conference on Education and New Learning Technologies. Barcelona(Spain) 4th to 6th July 2016. Ed. L. Gómez Chova, A. López Martinez, & I. Candel Torres. iated, 4887−4895. (EDULEARN 16 Proceedings). This paper mapped descriptively Internal, External and Transactional Infrastructure, Learning and teaching and Change management services in Ghana and revealed the developed and undeveloped service areas for Ghanan schools and the mismatch between externally provided and internally applied services. Quaicoe,James Sunney; Pata, Kai (2016). Digital Divide in Learning Services in Ghana’s Basic School. 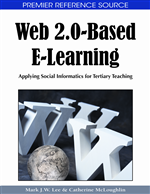 Advances in Web-Based Learning – ICWL 2016: International Conference on Web-based Learning – ICWL 2016 in Rome, Italy, 26-29 October 2016.. Ed. M. Spaniol, M. Temperini, D.K.W. Chiu, I. Marenzi, U. Nanni. Spring: Springer International Publishing, 83−88. 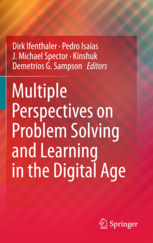 The results of Canonical Discriminant function analysis indicated that external digital learning services informed digital divide in two school clusters – the less advanced schools were not able to proactively transact external digital learning services into their schools. Ideas from the ECTEL 07 presentation ‘A p2p framework for interacting with learning objects’ by Andrea Clematis et al. I am using learning objects and i am recording my practices how i am using these objects. And i will share my practices with my peers in the network who are using the objects as well. He started his presentation with blaming plagiarism and the main message was not so much touching the topic of the keynote heading. But it was interesting in another way, bringing in the negative message about Google and Wikipedia. We are in process by creating the reality by googling. We can use Google as a powerful tool to detect plagiarism. Anti-plagiarism software: changes words with synonymes and the plagiarism detection tools will not find it out. If we translate the paper from one language to another, it is plagiarized, but it cannot be detected. I don’t care if the report is copied from another country, its nice if 20 000 euros was earned with 5 minutes by changing only few words. 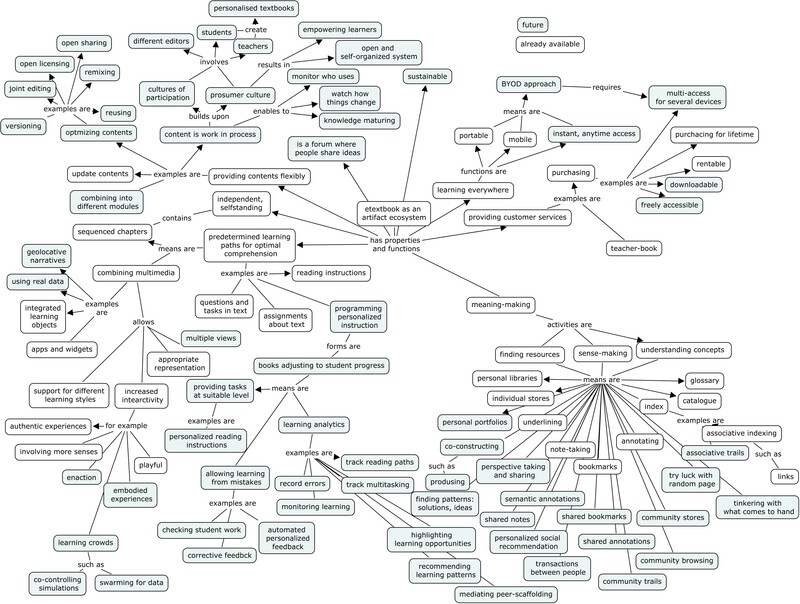 We need international agreements what is allowed at data-mining. Google is doing nothing illegal but it violates laws of data-mining. Google is invading privacy of persons and companies because of combined undertakings (Google earth etc.). Google is the best detective agency in the world. We are googling reality as Google and Wikipedia want to see it. Companies can rank their information upwards, Google does interferred ranking. Entries in Wikipedia in search engines: 200 random words from wikipedia, its strange enough that in google the wikipedia pages ranked among firts 10. It is proof that Google and Wikipedia do cooperation. These two machines that many people consider reality are starting to change the googled reality. Google can ruin the stock market. My only hope is that Google is clever enough not to kill the cow they are milking. They are using the knowledge in stock market, they probably realize that they should not go too far. Break-up between Google search engine and the other Google tools is needed so that there was no serious data-mining possible in economy with different google tools. Problem in Wikipedia is keeping the information updated. It was better if from Wikipedia the link goes to the original site (of Herman Maurer webpage or Irakleon town page) rather than storing information in Wikipedia that is not new enough. Difference between Wikipedias of countries. You can cite only material that is stabile in time – thus you must not cite Wikipedia. I have lots of criticism against wikipedia, i think it is too late to change the current version of Wikipedia. We probably need new start, but it may not happen. The modern cellphones are getting close to what i think the future will look like. My basic concept is that we always will have computer with us, but not visible way (computers in the pocket, screens on the glasses). Computer does powerful image processing, everything we want to be recorded can be sent to the computer. Cameras and electronic compasses will be related with tools like Google Earth, knowing where we are and what information we need and create. We are approaching towards collaboration and consulting society. The search engines are too much overloaded with cloned information. We need to specialize to smaller fields. We search from google some contacts and ask about real information. There is usually 1-2 pearls in each research paper. I doubt is anyone reading the whole papers. What i consider is someone to open something like the ‘journal of pearls’. Information retrieval is going to change. We want search engines that do find millions of entries and then produce certain 15 papers that are really relevant to our questions in mind. In 40 years continuous recording of total sensory experience of persons, it will be made (partially) accessible to friends. Fastforward techniques will help to re-experience the past. This will make it possible to experience something FOR THE OTHERS. This means that mankind is developing without noticing common memory. Everything suddenly becomes an experience we have already felt. Implentation of what has been done in the past has not been easy. Using eLearning ideas to change the world has not taken place. eLearning has become mainstream not merely a research area. Outcomes: what we expect to achieve? I was listening at ECTEL07 the presentation (see the proceedings) by Sebastian Kruk et al., which was very much technically supporting what we would like to do in the study of making school library 2.0 practically happen in one master study. The main idea in the presentation was integrating blog (of the book), bookmarks and tags (of the teacher and the learners), and digital library work together in learning tasks. We don’t have technology enhanced literature, we have literature enhanced technology. Why are we doing it digital? Why don’t we do the real things and instead we do it over web. Are we doing actually better? They all have same problems about software, necessity to educate people. What it means that technology enhanced learning reaches full potential – then nothing will be left from previous order. Nightmare scenario is also the ideal scenario, young people do not draw distinction between previous media forms and current. They live in the flow of liquid micromedia. They do not distinguish forms of media. everyone else in the world is horrified. they use glory as the source of the community identity, the reason to be. The most basic from women refugee camp life – from bad it becomes the real life, if communalities were found, if social networks emerged. Social software was developed keeping in mind the gender differences, because men were not so successful and the tools became the tools of power. The camp as a search engine, learning machine. 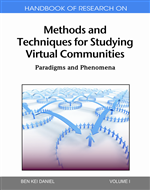 The informal learning strategies of the society will rule. Nobody have license, diploma in this future technology enhanced informal learning society. Information society has no democratic patrol over digital revolution. Its a compost a fertile soil what we do now..our roots are strong because they are in compost. You are currently browsing the archives for the ectel07 category.